Tanya Gombera has been named head coach of the Northern Illinois University women’s tennis team. Gombera is well-equipped to become the ninth head coach in the history of the Huskie women’s tennis program, said Sean T. Frazier, NIU associate vice president and director of Athletics. 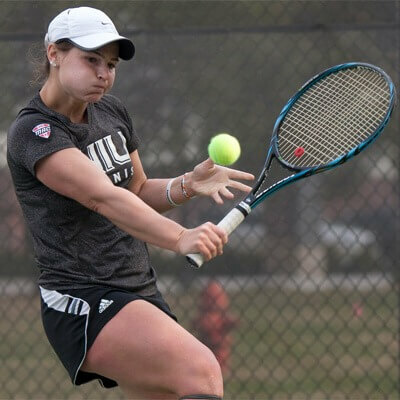 Gombera, a former tennis standout at the University of Akron, comes to NIU and returns to the Mid-American Conference after spending two seasons as an assistant coach for the men’s and women’s tennis teams at the University of North Dakota. At UND, she helped the women’s tennis team contend for a spot in the Big Sky Tournament, coached the school’s first women’s All-Big Sky team selection and oversaw a significant improvement in the newly-started men’s tennis program. Prior to her time at North Dakota, Gombera served as interim head coach at the University of Southern Mississippi for the 2012 season. This promotion followed her time as a graduate assistant coach at USM from 2010-12 where she recruited international players and aided in the day-to-day operations for the Golden Eagles, in addition to her on-court coaching duties. She also spent one season as the head tennis coach at Malone University in Canton, Ohio and served as the tennis marketing director at the Towpath Tennis Center. Gombera enjoyed a successful tennis playing career after growing up as a tennis prodigy in her native country of Zimbabwe. She represented Zimbabwe in the Africa Junior Championships and Zimbabwe Schools Team. Gombera won a silver medal at the All-Africa Games in Nigeria in 2003 and also represented her native country at the Afro-Asia Games. She competed in many International Tennis Federation (ITF) events and reached an ITF ranking of 453rd in the world. Gombera is also no stranger to the Mid-American Conference, having been a four-year letterwinner at Akron. She earned second team All-MAC honors and finished her collegiate career with the Zips ranked in the top 10 in school history in combined singles and doubles victories. She received the MAC’s Leann Grimes Davidge Sportsmanship Award on two separate occasions and served on Akron’s Student-Athlete Advisory Council Board. 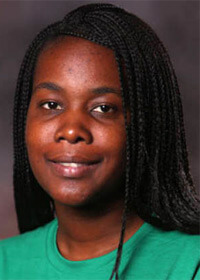 A 2009 graduate of Akron, Gombera earned her bachelor’s degree in business administration before receiving her master’s degree in sports management from Southern Miss in 2011. She will be taking over a program that returns six letterwinners, including two-time All-MAC performer Nelle Youel, and will add four newcomers in 2014-15.